For the love of life: Talk to me! And I have a card to share with you, which I made with the August Urban Anthology kit. 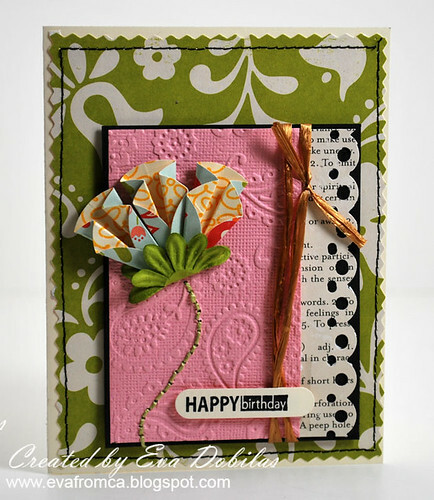 This card has the Dahlia fold flowers, which I found fabulous instructions for on Splitcoaststampers. So, if you like what you see, you might want to try it as well. I love the way it turned out and hope you do, too. Well, I hope you like my card. I will be scrapping this weekend, how about you? Any fun plans for the Holiday weekend? Not much here, it's suppose to be a hot weekend, so I will stay inside, maybe watch some movies, but that's about all.